Nintendo appears to have accidentally leaked the upcoming and unannounced Stage Builder mode for Super Smash Bros. Ultimate. 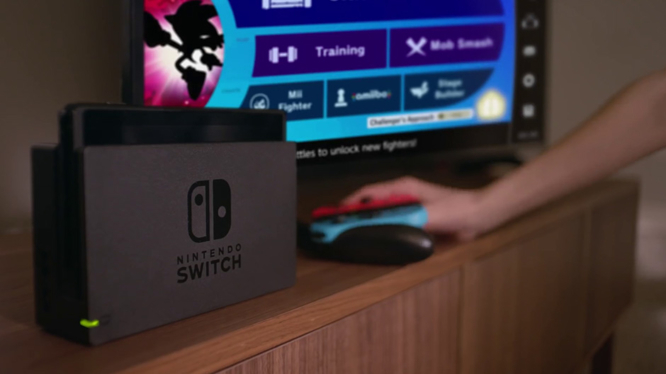 Featured in their latest video ad, titled “Nintendo Switch My Way – Super Smash Bros. Ultimate”, a brand new menu item labelled “Stage Builder” can clearly be seen within the Games & More options. Super Smash Bros fans have really been spoilt rotten with leaks and rumours in the latest instalment. Having already been treated to a potential art/amiibo pose render of upcoming fighter Joker, it now seems as though Nintendo may have just given us a first look an additional game mode. Seen during the first few seconds of the “Nintendo Switch My Way – Super Smash Bros. Ultimate” video ad, is a slightly blurred menu item featuring the words “Stage Builder”. 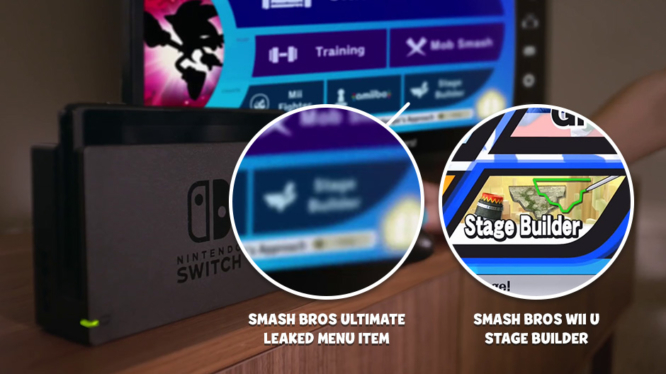 The new button also appears to show a new icon alongside the text, which closely resembles the Stage Builder iconography used in the Wii U title. Super Smash Bros’ Stage Builder mode traditionally allows players to create their own custom stages, use them to fight on, and even share them with friends. It’s more than likely that the return of Stage Builder in Smash Bros Ultimate will follow the same suit and Switch owners will be whipping up their own stages in the near future. If you want to check out the full video ad to see the leak in action, then hit play below and keep your eyes peeled during the opening scene.